Description A 6-1/4" tall chalice; English sterling silver, with four hallmarks including makers mark. Engraved on front, "Sheffield Cat Show, Nov. 17th, 1904, presented by Mrs. E.T. Moore"
Brief History The chalice was presented by Mrs. E.T. 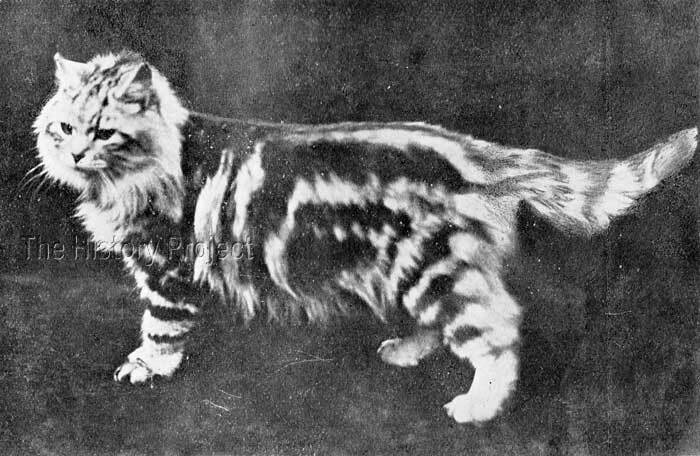 Moore at the November 17, 1904 cat show. presumably in Sheffield, England. 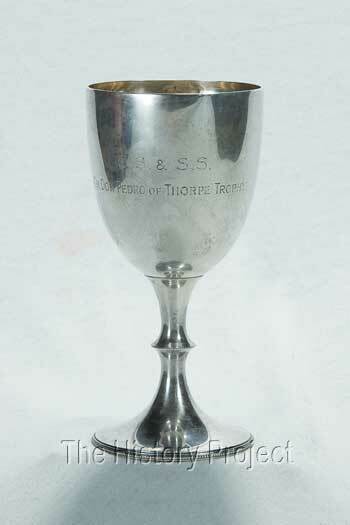 Little is known about the Don Pedro of Thorpe Trophy, other than the information that is engraved on it. 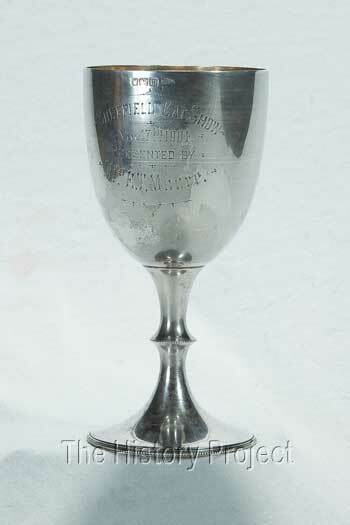 From the engraving it would appear that CH Don Pedro of Thorpe was the winner of the trophy. 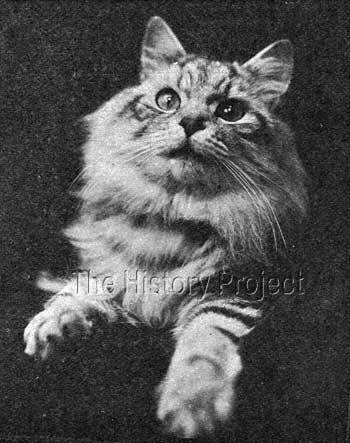 More is known about Don Pedro of Thorpe, an exciting Silver Tabby Longhair (Persian) in his time. He was born on April 7, 1901, bred by Miss Cope and owned by Mrs. Slingsby. The GCCF registration record below also indicates that he was registered with The National Cat Club, and was indeed an entry at the Sheffield Cat Show.